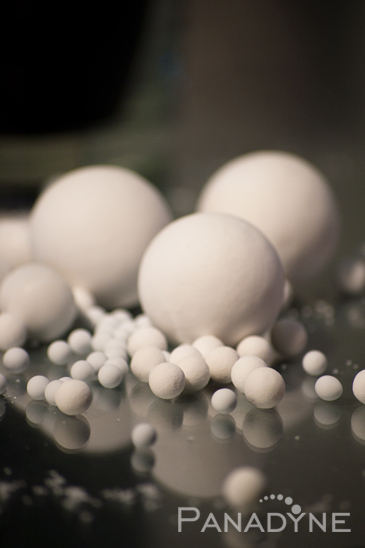 Panadyne offers custom Aluminum Oxide spheres. The Aluminum Oxide spheres have excellent mechanical properties and are often used as grinding media in a variety of mills. The spheres have high compressive strength and scuff-resistance. Spheres are offered in a 92% & 99% purity to serve both grinding and packing applications. Aluminum Oxide Sphere are available in typical sizing ranging from 2mm to 25mm. Please contact us for more information.